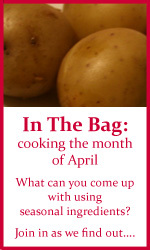 In the Bag: Cooking the Month of April – The Round up! Sadly the seasonal Jersey Royal potatoes in April’s bag have been somewhat hard to come by this year, and those that can be found have been very expensive. We’ve therefore only had a handful of entries, which is a shame, but nonetheless they’ve been fantastic entries; as always. If you are able to get hold of these potatoes and can splurge out I hope these recipes inspire you, but not to worry if not; we’ll have May’s bag stocked full of brand new seasonal ingredients for you very soon – so watch this space. Ian of ‘The Pie Times’ was so inspired by the event this month that he entered not one, but two dishes! 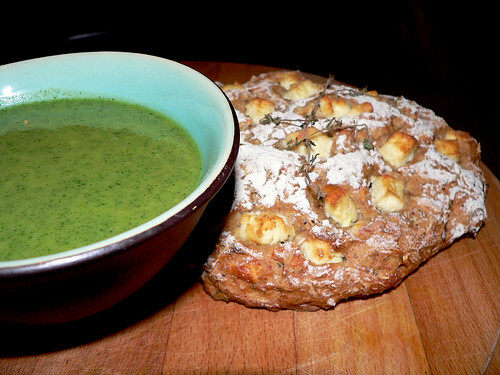 Take a look at his inspirational Watercress Soup with Feta, Potato and Thyme Bread and the Spring Salad he made with what he had left over. How frugal! 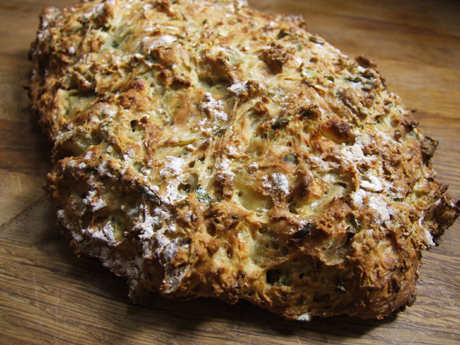 The lovely Helen from ‘Food Stories’ baked a beautiful sounding and looking Jersey Royal, Watercress and Feta Bread with Greek Basil. Our ‘In the Bag’ co-host Scott presented us with a mouth-watering Poached Fillet of Beef on a Cauliflower Cheese Puree. 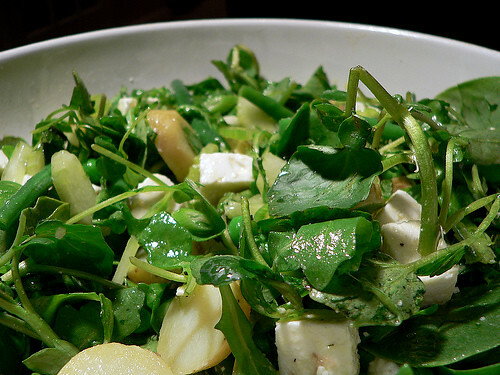 My own creation was Jersey Royal Potatoes with Feta and Watercress Sauce.